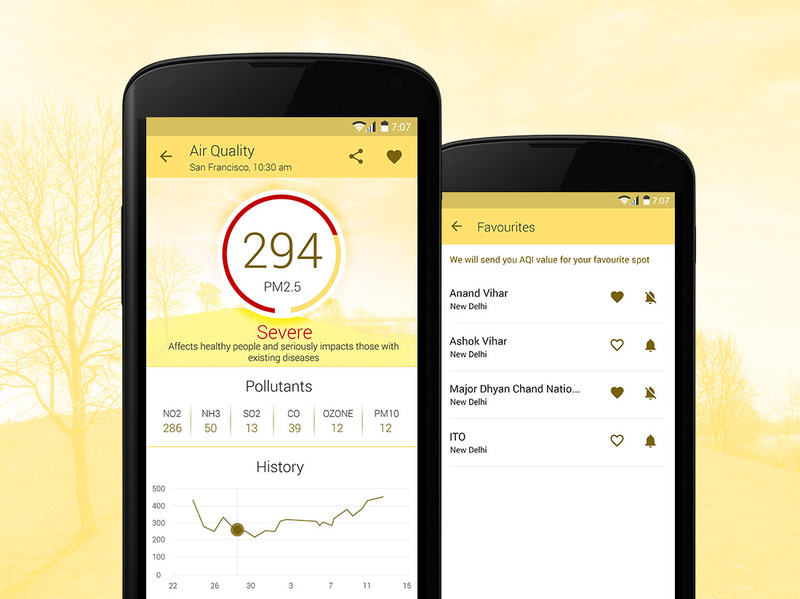 With growing concern about air pollution, we bring you an app that will help you monitor the air quality around you, your city and any other place across the globe. The app shows air quality index for any city on a map so you can either search or use the map to check AQI for that area. Details show the index and 6 major pollutants being tracked along with health advisory for the same. AQI Historical data for last 7 days depicted on a chart to highlight the trend.